Consider hitting a baseball with a bat. 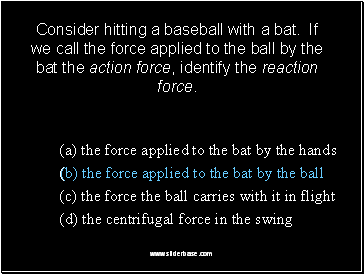 If we call the force applied to the ball by the bat the action force, identify the reaction force. Suppose you are taking a space walk near the space shuttle, and your safety line breaks. How would you get back to the shuttle? The thing to do would be to take one of the tools from your tool belt and throw it is hard as you can directly away from the shuttle. 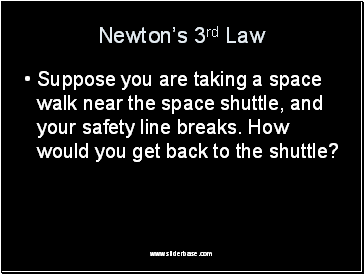 Then, with the help of Newton's second and third laws, you will accelerate back towards the shuttle. 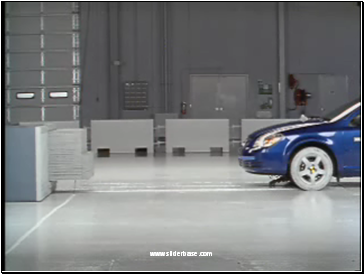 As you throw the tool, you push against it, causing it to accelerate. 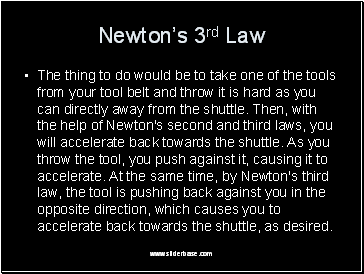 At the same time, by Newton's third law, the tool is pushing back against you in the opposite direction, which causes you to accelerate back towards the shuttle, as desired. 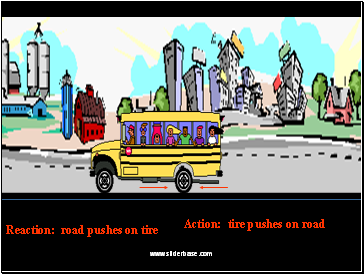 Objects in motion tend to stay in motion and objects at rest tend to stay at rest unless acted upon by an unbalanced force. 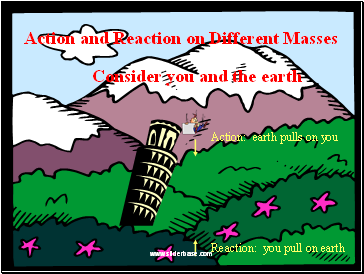 Force equals mass times acceleration (F = ma). 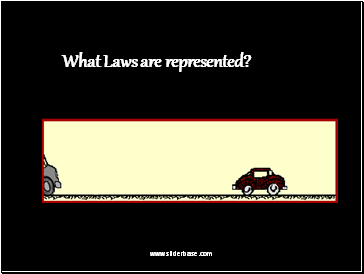 1stlaw: Homer is large and has much mass, therefore he has much inertia. 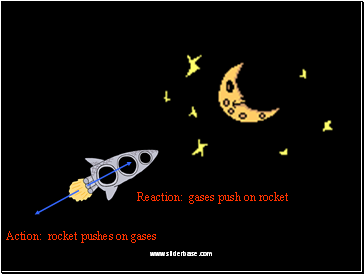 Friction and gravity oppose his motion. 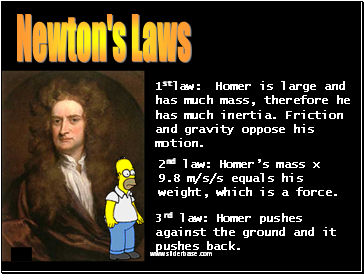 2nd law: Homer’s mass x 9.8 m/s/s equals his weight, which is a force. 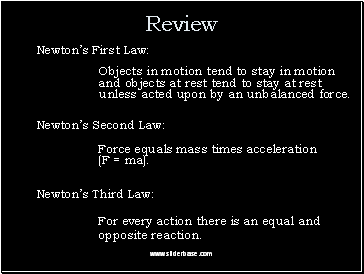 3rd law: Homer pushes against the ground and it pushes back.